Congratulations! You just earned your CDL and became a professional truck driver. Now that you’ve joined the ranks of America’s highway heroes, you’re probably excited. However, there will be a lot of challenges in your first year as a rookie. Since drivers who have been driving for a company for years typically get first pick on assignments, that means the newbies get the leftovers. You’ll get the jobs in desolate places and big cities where making a delivery can be a challenge. Getting last pick also means getting the schedules no one else wanted that run during late hours. It won’t be until you’ve built up a good reputation by keeping to your delivery schedule and stayed with the company for a while that you will be able to start having some say in what assignments you get. Perhaps the most important new truck driver tips are the ones that keep you safe out on the road. Safety should always be at the forefront of your mind when you are on the road. The number one rule when it comes to avoiding accidents is slow down. No matter the situation (rain, construction, heavy traffic, etc.) the best way to steer clear of potential accidents is by simply reducing your speed. Driving slower allows you react and come to a stop quicker, which can make all the difference in the event of an accident. Staying alert is important, too, so make sure you are always well rested and mentally ready for long trips. It is easy to get carried away once you become a professional truck driver. While it might be tempting to start taking on high-mileage jobs with short turnaround, rookie truckers need to remember that they haven’t adapted to life on the road yet. It takes time to become a veteran truck driver. Not only does it take time to build up the mental and physical stamina of longer jobs, but it also takes time to develop your time management skills. Longer distances require very careful planning, as a slight setback can delay a delivery by days. Remember: you have to crawl before you can walk. Even as a truck driver rookie, days at home will be scarce. You’re looking at one day at home for one week on the road. If you have a family and are considering becoming a truck driver, let them know what to expect and give them some say in your decision. Your job will affect both you and them. Being away from home for the majority of the year can be stressful on relationships and may test their strength past what you would want. When you come home, all you’ll want to do is rest in your spacious bed. For the sake of your family, don’t. Make your home time all about doing things with your family and close friends. As you gain experience in the trucking industry, you will quickly notice that parking can be a very frustrating experience. There are peak times during each season where truckers are known to fill up truck stop parking lots, making it very difficult to find a spot. Aside from making your life easier, finding a parking spot early will allow you to start resting up for your next day on the road much sooner. Recovery is absolutely essential to safe and healthy truck driving. The best strategy for stress-free parking is to get parked early, then hit the road earlier the next morning. If you start looking for a parking spot about an hour before the usual rush, you will find yourself avoiding plenty of headaches and frustration. You already know that trucking is as much a lifestyle choice as it is a career choice. 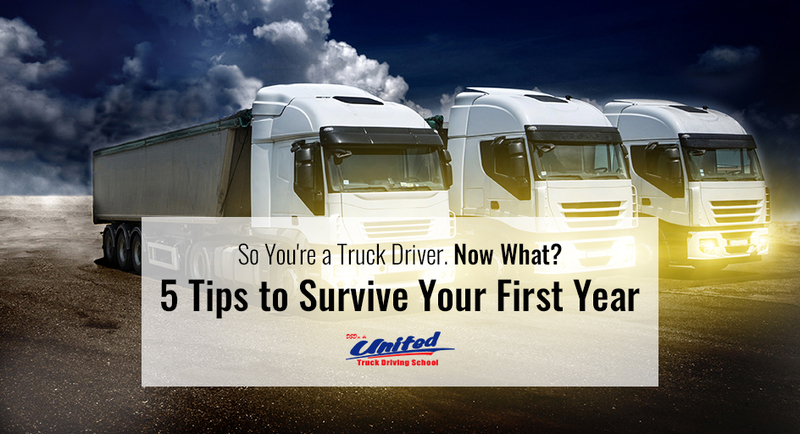 As exciting as it is to take this step into a new career, it is important to be prepared for the unique challenges that beginning truckers face.